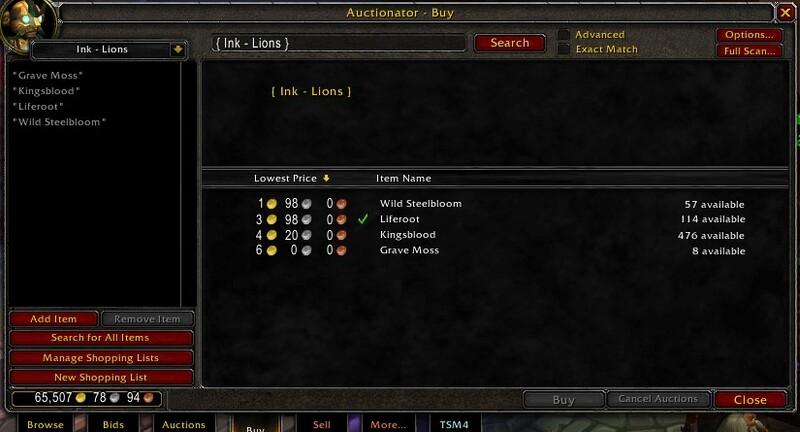 It’s easy to use TSM4 but if you are an auctionator fan, here are the groups that you need. Organised by Ink type, so they’re useful if you are a scribe looking for materials. Alternately you can think of them as organised by expansion. 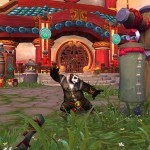 Interact with an Auction House NPC to bring up the AH window. 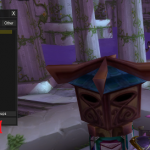 TSM Users: If you’re using TSM you should already have TSM herb groups set up but if you want auctionator groups in addition, click the ‘Switch to WoW UI” in the top right. 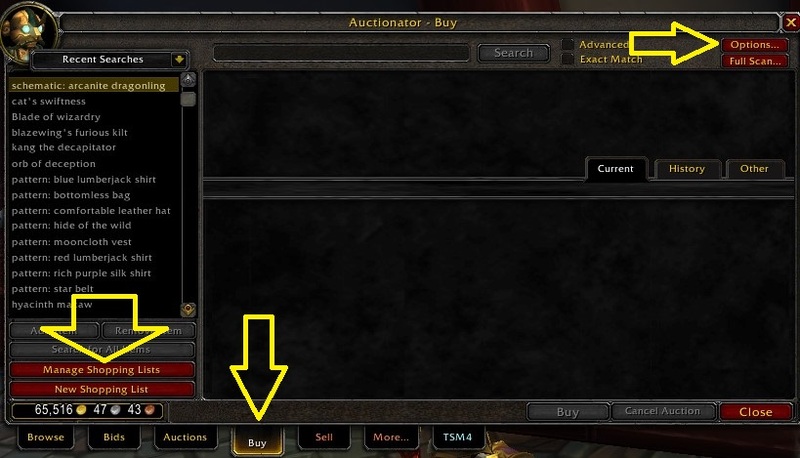 Go to the Auctionator Buy tab, or the Auctionator Sell tab. 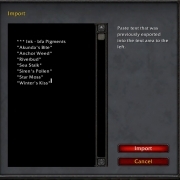 Choose either ‘Manage Shopping lists’ on the bottom left, or “Options” on the top right. 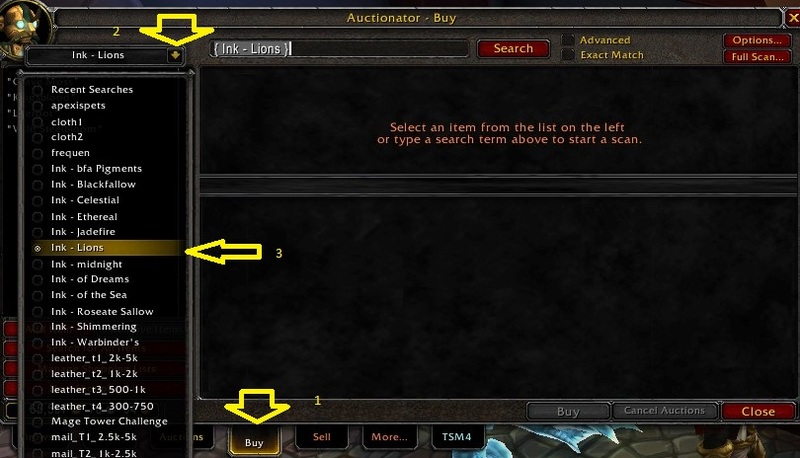 They both bring up the Auctionator settings. On the right hand side you’ll see a list of all your shopping lists! 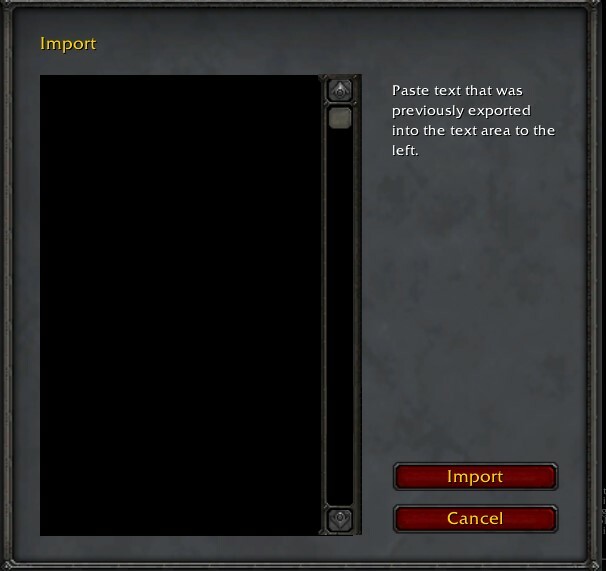 There will be a red button that says “Import” Click it for a new window. 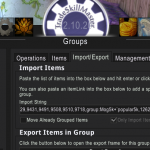 Here are the groups that you need. Cut n paste them one group at a time. At the top left hand side, from the drop down list, choose which section of herbs to shop for. Click it, then click the red button ‘Search for all items” in the bottom left hand corner. Here, I am searching for all the herbs that could be made into Lions Ink. 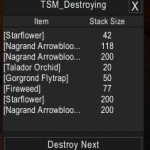 When I “Search for All Items”, it loks like Wild Steelbloom is the cheapest of these herbs, at 1g 98s each. 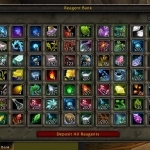 The green tick means that the Liferoot that I have earlier posted on the AH is the cheapest available to sell. A red cross would mean I had been undercut. 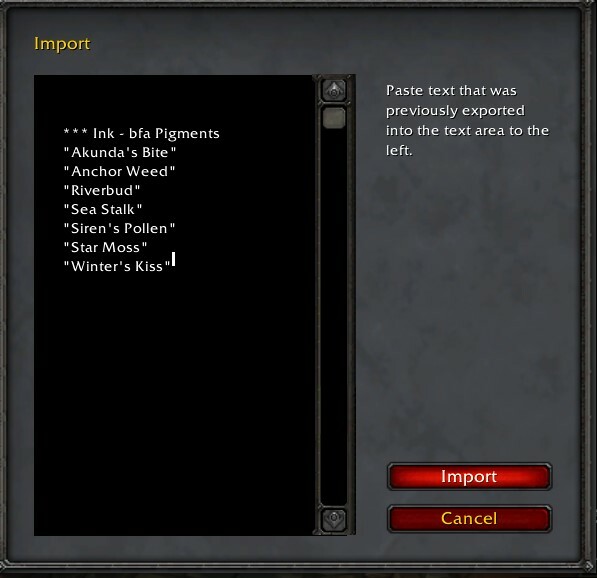 You might notice there are 476 Kingsblood available compared to only 57 Wild Steelbloom. I would not be surprised if this impacted the prices tomorrow. 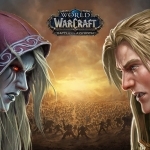 Need any more Battle for Azeroth info? Keep your eyes peeled here on The Gold Queen website, and donate to the Patreon for early access!